All signs are pointing to a new era of women in charge – socially, economically and politically. Women receive almost 60% of university degrees in America and Europe. So, who’s going to be leading most CPA firms in the future? Who’s going to be the owner of many of your future client businesses? Women make up 60% of all accounting graduates, 52% of all new hires into public accounting, but less than 24% of all partners. Future ready firms will benefit from helping women in accounting thrive in challenging times. 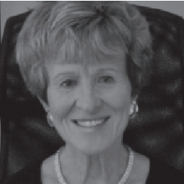 Rita Keller is an award-winning and widely respected voice to CPA firm management. She is nationally known as an accounting firm management consultant, speaker and author and has over 30 years’ experience working in the CPA profession. Her daily management blog has been named one of the thirty-four Top Blogs for Accountants and one of the Top CPA Blogs. She has been repeatedly named to the Top 100 Most Influential People in Accounting by Accounting Today and also named One of The Most Powerful Women in Accounting by CPA Practice Advisor. As a facilitator and speaker, Rita has been featured at nearly all major CPA management conferences and works with firms across the USA and Canada. She is active on committees at the AICPA, the Ohio CPA Society and the CPA Firm Management Association.